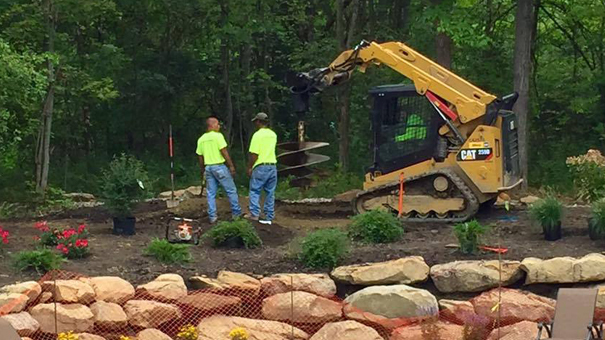 Perfection Landscapes provides landscaping services for commercial and residential projects in Cleveland Ohio and the surrounding areas. We take great pride in being the trusted source for all of your landscaping needs. Here at Perfection Landscapes, our motto is Perfecting the View. We understand how important the outside area of your commercial or residential property is to you. The outside area is the first thing guests see when they are within sight of your property or home. Our trained staff can help your landscaping dream become a reality. We offer a wide variety of services that include; landscape design, lawn care, landscape installation and irrigation, just to name a few. During the winter months, Perfection Landscapes also offers snow plowing and snow removal services. We provide landscape maintenance for residential and commercial properties in the Cleveland, Ohio area. This is the point in the process where you will start to see your landscaping dream become a reality. With snow and ice management safety is always the number one concern, that’s why we set the quality standard at Perfection Landscapes.